Financial assistance is available for all of our programs. For more information about YMCA programs or financial assistance, please contact us at 601-638-1071. We offer a variety of aquatic programs from Learn-To-Swim classes and family swims in our outdoor Ver Beck branch pool, to water aerobics, lap swimming, lifeguard classes and birthday swim parties in our heated, indoor W.K. Purks Center pool. The YMCA, nationally, has led the way in camping for over 125 years. The Vicksburg YMCA is proud to offer two exciting camping opportunities including day and resident camp programs. Warner-Tully Memorial YMCA Camp, located on 108 acres of rolling hills and shade trees in Claiborne County, has been giving boys and girls safe, memorable overnight camping experiences for over 50 years! As a convenience to our members, we offer childcare in our nursery for parents to drop their children off while they're in the building exercising, or taking a class. Ages 3 months to 12 years old. Morning hours are Monday through Friday, 8:00 to 11:00 a.m., and afternoon hours are Monday through Thursday 3:30 to 7:00 p.m.
YMCA PrimeTime is our after-school childcare program for boys and girls in grades K-6. This program, offered every day after school until 6 p.m., is held at 7 elementary schools: Bovina Elementary, Sherman Avenue Elementary, South Park Elementary, Bowmar Elementary Beechwood Elementary, Vicksburg Intermediate School, and Redwood Elementary. Activities, led by trained and caring site directors and counselors, include organized games, snacks, homework time, crafts and more. Our Summer Fun Camp is held at both the W.K. Purks Center and Wilkinson Ver Beck Branch YMCA's, and provides boys and girls a fun, theme-filled day camp experience from 7 a.m. to 6 p.m., Monday through Friday. Activities, include swimming, crafts, organized games and sports, movies and much more. 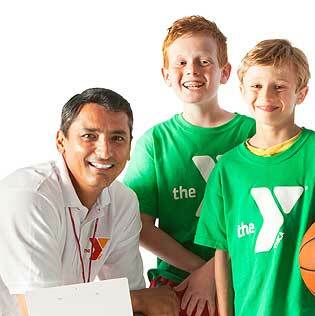 We also offer special holiday camps during the school year and are held at the YMCA. There are many opportunities to improve health and fitness at the Vicksburg YMCA! Child Watch Center available while you work out! We offer a variety of programs from cycling and step, to Yoga and Pilates. Please visit the Purks courtesy desk for an updated class schedule and more information. The Vicksburg YMCA also hosts the popular annual community race, the Run Thru History 10KRun, 5K Walk and 1-Mile Fun Run in March. For more race information, visit the official Run Thru History website at runthruhistory.org. Enjoy the W.K. Purks Center indoor pool for your child's next birthday party! Our Birthday Party Program offers kids, ages 5 through 12, the option of spending their special day with us! When: Saturdays 11 a.m. - 12:30 p.m. OR 2:30 - 4 p.m.
• Tables set up with ice, balloons, and a "Special T-Shirt" for the birthday child. Refrigerator available. • 45 minutes of party time, and our Y staff cleans up following the party! So bring your guests, swim suits, towels, birthday cake, ice cream and smiles! We offer convenient parking south of the Purks Center building. Easy pizza delivery! And the Y staff will assist with any special needs or arrangements requested. To reserve your party or for more information, please call 638-1071. With YMCA youth sports, every kid is on a level playing field. More than just exercise and physical development, Y youth sports build character and instill important values of fair play and teamwork as we keep winning in perspective and focus on the kids. Values are always in play at the Y where we believe every child can excel at skills that matter most. Listed below are our yearly youth sports programs. If you are interested in any of these programs, please contact us at 601.638.1071 for more information.